Where Can I Find the Best Student Discounts in Tampa? As a student, every penny makes a difference! Between rising tuition, expensive textbooks, and monthly living costs like rent and utilities, it can be difficult to save for the future. However, being in college doesn't have to mean being broke. Students attending the University of South Florida are eligible for student-exclusive deals and savings on everything from dining and shopping to entertainment and nightlife fun. Your student ID card is the key, great for unlocking special offers on sporting events, theme park tickets, tasty food, and more. Be sure to keep it with you at all times, and don't be afraid to ask shops and restaurants around Tampa if they offer a student discount! Soar through the skies on Busch Garden's SheiKra or race through the park on Cheetah Hunt with $99 unlimited admission for 12 months plus free parking and exclusive discounts with the USF Student Annual Pass. Enjoy the crisp, refreshing taste of Yuengling while getting a behind-the-scenes look at how your favorite brew is made. Tours at Yuengling, America's oldest brewery, are free to the public and all ages are welcome – though if you wish to indulge in a few samples you'll need a valid ID (must be 21+). Get an up close and personal look at the beautiful "sea cow" in its natural habitat at Tampa Electric's Manatee Viewing Center. Get a bird's eye view of the migrating manatees from the 50-foot wildlife observation tower, pet sting rays at the Rays Touch Tank, or enjoy a stroll through the award-winning butterfly gardens – all free to the public! Hit it out of the park with top-notch discounts on Tampa Bay Rays tickets! With a valid .edu email address, students can purchase discounted Rays tickets – sign up now to receive notifications on student ticket offers. Art and history enthusiasts are sure to fall in love with The Dali Museum, an expertly curated collection of the famous Spanish artist, Salvador Dali's works. With an immense appreciation for education, The Dali offers a special rate of $17.00 for all students with valid student ID. Those attending USF's Downtown St. Pete campus receive free admission. Immerse yourself in ancient, modern, and contemporary art at The Tampa Museum of Art. Students receive free entry with valid ID – the perfect opportunity to explore art history through iconic paintings, breathtaking photographs, and historical artifacts. Go Greek at Acropolis Greek Taverna with baba ghanouj, gyros, falafels, signature Greek cocktails and even hookah. Students save an impressive 10% with USF student ID. Right off University Square Drive you'll find The Boba House, a tasty tea shop with milk tea, iced tea, slush mixes, and coffee. Students enjoy 10% off – making it the perfect place for a quick study break! Treat yourself to a freshly-made pizza with all your favorite toppings at Five Star Pizza. Make the deal even sweeter with a special USF student discount – large 1 topping pizzas are just $8.99 plus tax. 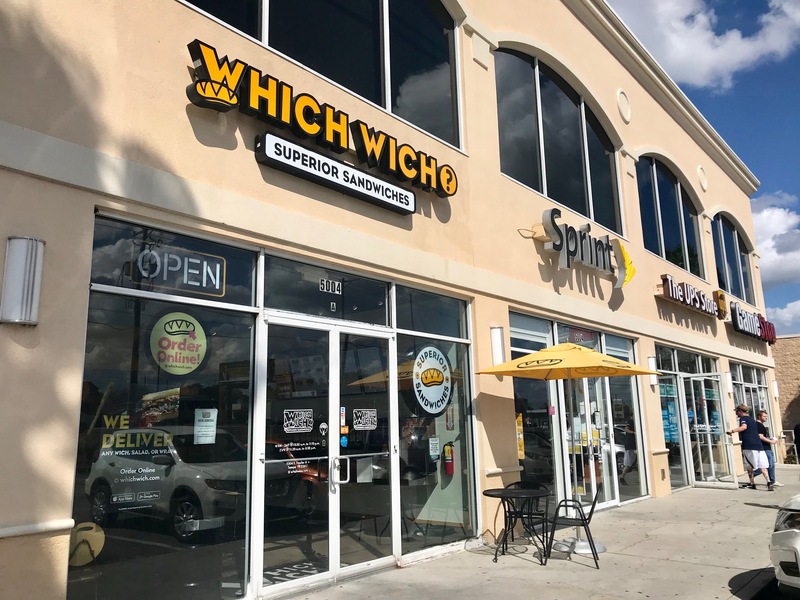 Build the sandwich of your dreams at Which Wich, with a wide-variety of fresh toppings, delicious meats and cheeses, and vegan and vegetarian options so everyone can enjoy! Students receive 10% off with student ID. 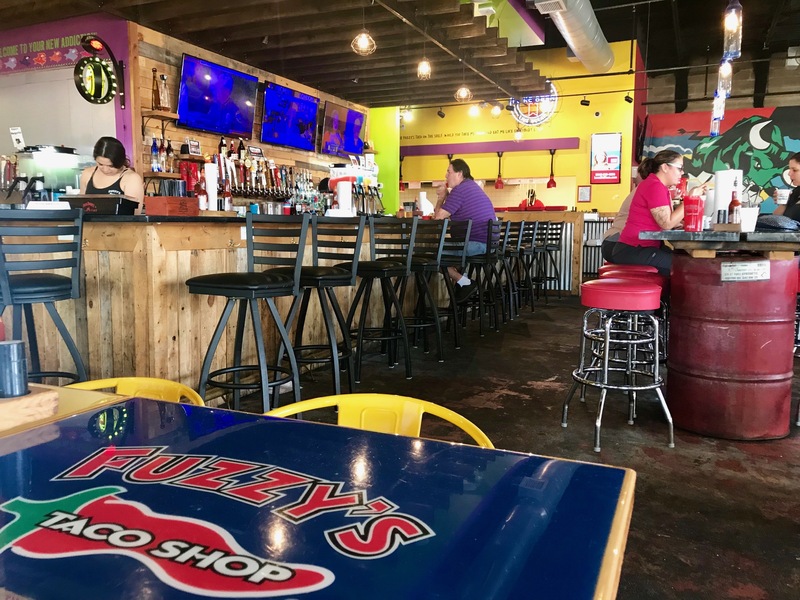 Make your way to Fuzzy's Taco Shop for mouthwatering salads, quesadillas, burritos, and of course tacos! Come for the food stay for the good vibes and festive atmosphere. Students receive a special discount of 10%. Shop the latest fashion trends without breaking the bank. Students save 10% at Banana Republic with valid student ID – talk about a steal! Feel like the professional you are with stylish, finely-tuned medical apparel from Medelita. Medical students receive 20% on non-sale items including the iconic white coat and grade-A stethoscopes. With over 700 boutique brands, ASOS is every shopper's dream come true! Share your student email to receive a personalized 10% discount code, valid for all your ASOS purchases now through graduation. Shop the best deals on fashion, health and wellness, beauty, food, tech, and more right from your phone with Unidays. This large online retailer partners with student-favorites like Apple, Adidas, H&M, Charlotte Russe, and Grubhub to offer a wide-variety of student-exclusive discounts. Create an account for free with your .edu email address. Save even more with student-friendly apps like Pocket Points, with which you earn shopping points for staying off your phone while in class or when driving, or UConnection, a free app with tons of dining and nightlife deals and honest reviews from fellow students. Please note that all discounts are subject to change.